Meet the girls behind Visible Girls:Revisited – the creative force at the heart of the project and exhibition. Anita Corbin started to use a camera at the age of 9 and even after a 36-year career still carries one everywhere. 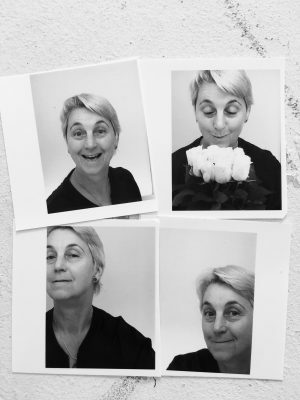 Her specialist areas of portraiture and editorial photography have generated iconic images for The Sunday Times and The Observer magazines and corporate agencies including The Partners. Even though the likes of Bono, Joely Richardson and Peter O’Toole have been in front of her lens, capturing the essence of ‘the extraordinary lives of ordinary people’ is where her creative passion lies. In 2018, Anita will tour her legacy project ‘First Women’, 100 portraits of Britain’s female trailblazers, celebrating 100 years of women winning the right to vote. Human interaction is at the heart of Anita’s work. Her dedication to family, celebration of her ancestry and respect for the spirit of photography all feed her capacity to relate deeply to strangers and capture with compassion their personal stories. When I took the original double portraits I was determined that as young women we should claim our place in photographic history. Colour photography was the perfect medium as the girls were so colourful, vibrant and individual. As a non-conformist myself, my search for identity and belonging at 22 was perfectly expressed in the combination of these girls looking for their own sense of self and my desire to photograph them. Visible Girls: Revisited offered those girls – and again, myself – a chance to come full circle; to celebrate and understand that who we were isn’t lost, but necessarily informs who we have become. The audience isn’t an outsider to this process either, but through relationship to the images, can, I hope come into deeper relationship with their own lives. Deborah Willimott received her BA Hons. 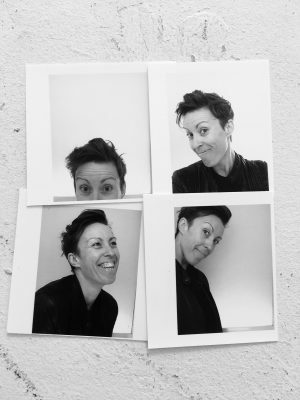 in English literature from University College London in 1999 and from there went on to become a London-based fashion stylist and award-winning journalist. As features section editor on the notorious more! Magazine, she covered real-life stories and popular culture, her celebrity interviewees including Rihanna, Razorlight and The Backstreet Boys. Eventually, her love of the outdoors precipitated a move from London to France, ‘for a 5 year snowboarding sabbatical.’ She eventually became a freelance journalist contributing to GLAMOUR, Cosmopolitan, Men’s Health, Stylist, The Huffington Post, and many other consumer titles, working from her Alpine chalet. My aim is – and always has been – to not just write what people say, but to capture the ‘transmission’ of their experience. For me, the Visible Girls’ tales shouldn’t just be great stories, but also offer readers a gateway for self-understanding and personal change. Music, fashion and subcultures can seem superficial… but really they are a universal language of self-expression, making them powerful conduits for unity and relationship across ages and generations. This project is the perfect of example of this in action – and also celebrates women in a unique and exciting way. Tory Turk received her MA from the London College of Fashion and now works as an independent exhibition curator in London. Tory is also Creative Lead at the prestigious Hyman Archive and having worked with the archive since its inception, is responsible for helping create the most important mass digitisation of popular culture in the world. Tory’s CV includes co-curation of the highly acclaimed 2015 retrospective exhibition ‘The Jam: About The Young Idea’ at Somerset House and the well-publicised ‘A Street Style Journey’ at the Londonnewcastle project space. Tory has appeared on BBC and ITV News, and press highlights also include coverage in Sunday Times Style, Stylist Magazine, The Evening Standard, Tatler, The Independent and The Observer. 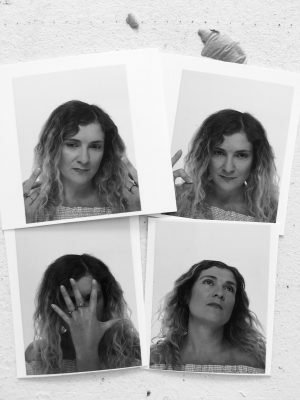 She describes herself as ‘a complete popularist, obsessed with inclusivity.’ Her work is driven by the desire to make pop culture accessible, shifting the exploration of history from the traditionally dry and highbrow to something cool, fun and celebratory. After pop culture, Tory’s other passions include her two cats Eric and Andre, named after the frontmen of NWA, a nod to another of her obsessions; Hip Hop music. I am fascinated by subcultures and this particular exhibition showcases a hugely moving and powerful part of social history. Women’s voices and their history – especially their subcultures – have rarely been shown or explored in this way and in this amount of detail. I want this project to encourage young women to come into a positive relationship with age, to see – maybe even through their mother’s experiences – that age is worth celebrating. As for the older generation, here is an opportunity to reconnect to their perhaps forgotten adolescent selves – the selves who made them who they are and who formed the bedrock of their wisdom. A reminder that to be proud of a life well lived is worth far more than yearning to be young.